Five generations of the De Brabandere family have crafted classic Flemish sour ales at the De Brabandere Brouwerij in Bavikhove, Belgium. Beside their Petrus sour ales, they also brew Wittekerke Wit, Bavik Pilsner as well as red and white wines and sparkling water. They claim time is their most important ingredient and never rush beer but let each mature to its full character. The Brewmaster’s Selection Wild Tripel Ale is an audacious combination of craftsmanship and experience. Two American hops, Amarillo and Cascade, are added to the well known Petrus Tripel to enhance the character and aroma. 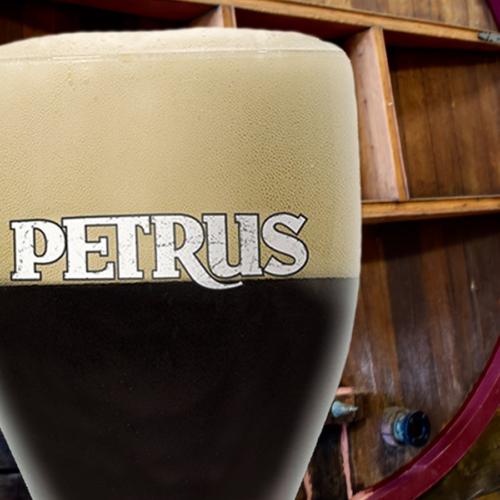 On top of this, the brewmaster adds 15% of Petrus foeder beer to give it a touch of sourness and fruitiness. This beer is an unprecedented combination of a hoppy tripel and sour foeder beer.